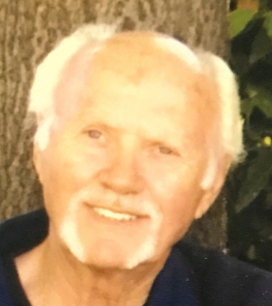 Dwayne Francis Ellis, 79, of Eagle, Idaho went to be with his Lord and Savior on Friday, November 2nd, 2018. Dwayne was born to Bert and Juanita Ellis on January 28th, 1939 at St. Luke's Boise hospital. Dwayne was the oldest of three children and protector to his brother, Robert, and his sister, Sandra. Dwayne and his family grew up in the Boise area and moved around many times to various ranches. As a child, Dwayne and his siblings had room to run and play. For fun, they would build their own stilts to walk on, construct home-made slug-shot beanie flippers, make spoke guns out of bicycle spokes and best of all, pour gasoline in oil cans, lighting them on fire and making their own flame throwers. The three of them also woke up early and went to bed late milking 25-40 cows everyday and helping in many other ways on the ranch. Dwayne loved to go to school just to find a way to get out of it. He and his brother Bob rode double on a horse to get to and from school; a quicker get away after Dwayne climbed on top of the one room school house during the winter to stuff the chimney full enough to smoke up the classroom. As an older boy, Dwayne broke horses on the family ranch and continued throughout his life loving horses and becoming an accomplished rider who could stay on a bucking horse, as Dwayne was always one to lead and have little to no fear. He and his brother would also get on their horses, Thumper and Dusty and race airplanes taking off on the runway at Bradley Field. At the age of 16, Dwayne dropped out of high school and married Sharon Grant. They had two wonderful children together, Mark Dwayne and Debra Kaye. Dwayne and Sharon later divorced. Dwayne then joined the Army and served his country well with pride and honor. Dwayne was stationed in Germany and became a sharpshooter for the Army. He served as Border Patrol in the Czech Republic as well. Finishing high school was important to Dwayne and he earned his high school diploma in Frankfurt, Germany. After serving in the military, Dwayne was honorably discharged and came back to the states to be with his children and family. In the mid-seventies, Dwayne joined the Ada County Sheriff's Department as a Reserve Deputy under Sheriff Chuck Palmer. He also became part of the Ada County Sheriff's Posse and patrolled with his longtime friend, Tom Taylor. On February 12th, 1977, Dwayne married June Uhling from Cottonwood, Idaho. Together, they raised a son, Shayne Ray and a daughter, Ashley June. He left the Sheriff's Department in the early 80's and started his home-building business, Ellis Construction. He made countless friends in the construction and restoration business, including sub-contractors and insurance agents. Throughout his life, Dwayne professionally raced his Weldcraft Jet Boat on the Payette and Clearwater Rivers, served as a water-boy for professional boxers, fished and hunted with his boys, girls and grandkids every season without fail, and camped almost every weekend during summers. Dwayne's purpose in life was to love all of his family unconditionally. He made a point to make every single loved one feel treasured and safe. From breakfast and lunch almost every day with either his kids, siblings or friends, Dwayne was the rock, safety, comfort and soft place to fall for everyone who knew him. He included, took care of and loved every single person in his life. Dwayne was Christ-like in that manner and was much bigger to everyone than he ever knew. Indestructible, strong, faithful, full of humor, jokes, complete nonsense, full of charm, laughter, utter tenderness and most of all unconditional love. Dwayne is preceded in death by his parents, Bert and Juanita. He is survived by his wife of 41 years, June, his son Mark Ellis (Loni) of Boise, daughter, Debra Harris (Danny, Wayne) of Cashmere, Washington, son, Shayne Ellis (Alayna) of Middleton, Idaho, daughter, Ashley Brown (Jake) of Emmett, Idaho. He is survived my numerous grandchildren. Cori Bitz (Brad) of Taiwan, Dwayne Ellis (Heather) of Boise, Idaho, Stacy Ramsey (Jason), of Middleton, Idaho, Calli Zickgraf (Carson) of Meridian, Idaho, Joshua Potter (LouDora) of Wenatchee, Washington, Jinni Mackay (Brett) of Kennewick, Washington, Jared Potter (Christine) of Monitor, Washington, Nic Potter, of Wenatchee, Washington, Jaycee Potter of Wenatchee, Washington, Jacob and Ava Ellis, both of Middleton, Idaho and Wyatt and Blake Brown, both of Emmett, Idaho. Dwayne is survived by the following Great-Grandchildren; Page, Mark, Savannah and Charlie Bitz, James, Michael and Abigail Ellis, Isaac, Afton, Caleb, Halie, Brianne, and Emmalee Ramsey, Ranger, Ryder and Remington Zickgraf, Kaden, Kira, Aubrey and Logan Potter, Ashlynn, Brynlee, Breyson and Maizy Mackay, Carson, Brody and Graham Potter, and Preston Potter. Dwayne is survived by his brother, Robert Ellis (Eve) of Eagle, Idaho, sister Sandra McEldowney (Don) of Boise, Idaho and numerous nieces and nephews. Dwayne, son, husband, father, brother, papa and friend, you will be so incredibly and dearly missed by all whose lives you were and still are a part of. Thank you for teaching us all by your great example and most of all, for teaching us what it means to love unconditionally. We love you so much. A viewing will take place Thursday evening November 8th from 5-7 pm at Bowman Funeral Home located at 10254 West Carlton Bay Drive, Garden City, ID 83714. Funeral Services will be Friday, November 9th 2018 at Cole Community Church at 11 a.m. The address is 8775 West Ustick Rd, Boise, Idaho 83704. Luncheon to directly follow the service at Cole Community Service. A committal service will be held on Wednesday, November 14th at 11 am at The Idaho State Veterans Cemetery located at 10100 HorseShoe Bend Road, Boise, ID 83714.